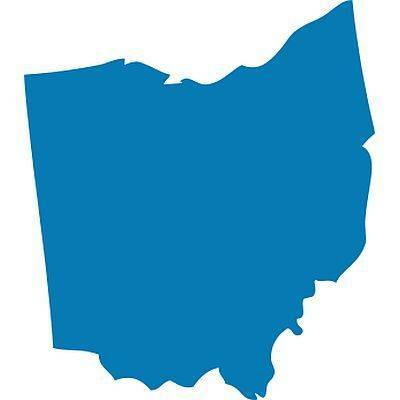 CLEVELAND (AP) — A measure that will prohibit hospitals in Ohio from disciplining or firing nurses who refuse overtime is being considered by the state Legislature. A nursing group said this bill will help protect nurses from fatigue and burnout and ultimately protect their patients. The Ohio House approved the measure earlier this month. The Senate is expected to take up the bill in the coming weeks. If approved, Ohio would become the 19th state to prohibit hospitals from requiring nurses to work overtime. Sprague, a Republican from Findlay, did not respond to messages seeking comment. The bill is backed by the Ohio Nurses Association, which represents roughly 215,000 nurses in the state. Association President Brian Burger said he expects the Senate to approve the bill if the Ohio Hospital Association, which initially opposed it, continues to take a neutral stance on the legislation. Changes were made to the bill’s language during negotiations between the two groups. The Ohio Hospital Association, Ohio Children’s Hospital Association and the Ohio Organization of Nurse Executives said in a letter sent to Sprague in February that the nurses association’s concerns “are not supported by any data to suggest a real problem exists regarding mandatory nurse overtime.” The groups said they weren’t aware of any hospitals threatening to fire nurses who refused overtime. Ohio Hospital Association spokesman John Palmer said the group will work with the Senate on how overtime is defined. He said staffing is a complicated issue for hospitals. “We’re going to continue to focus on education and building awareness around the flexibility hospitals need on staffing and working with nurses and health care workers,” Palmer said. While the House bill forbids mandatory overtime, it does allow hospitals to schedule overtime during health care disasters, government emergency declarations by situations that lead to a large influx of patients. Burger and Shelly Malberti, a nurse, nursing supervisor and manager for more than three decades, said nursing has become more complicated and burdensome over the years. They said hospital patients are sicker than they were in the past and require more care; requirements for charting patient information have increased; and staffing of both nurses and aides is reduced by some hospitals to save money. Burnout from physical and emotional fatigue is a growing issue in the profession, Burger said. They pointed out that pilots and truckers, jobs for which safety is a primary concern, both mandate rest periods, which doesn’t apply to nurses. Malberti, who teaches nursing at a community college in northeast Ohio, said it is fine for nurses to work overtime, but they should have a choice. She said they should get to choose especially when their extra hours come at the end of a 12-hour shift and they’re scheduled to return to work for another shift later that day. Burger said there’s a difference between asking someone to work overtime and ordering them to do it. Malberti said she never disciplined a nurse for refusing overtime when she was a supervisor but has seen it happen.